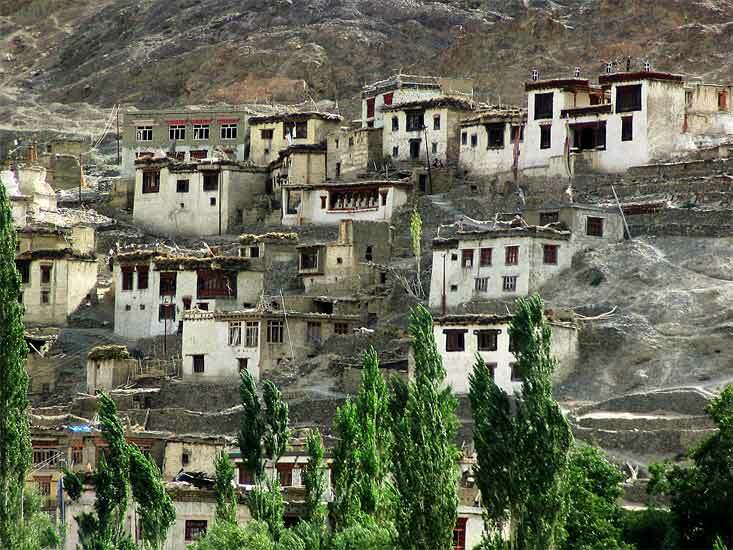 Renowned as ‘the Land of Aryans’, Dha and Hanu villages are settlements of Drokpa or Brokpa community in Ladakh. The village is located about 163 km northwest of Leh at the confluence of rivers Shyok and Indus in Kargil region in Jammu and Kashmir. According to popular belief, the Brokpas were part of the army of Alexander the Great and came to the region over 2000 years ago. The Brokpas have made around 5 villages their home but the tourists are permitted to visit only villages- Dha and Hanu. Apart from tourists, these villages are an attraction for anthropologists also. Brokpas have a custom of marrying only in their own community and this has helped them in keeping their unique features intact. They are known for their blue-colored eyes, fair complexion and an Ind-Aryan look.They are racially and culturally distinct from the rest of Ladakhis. 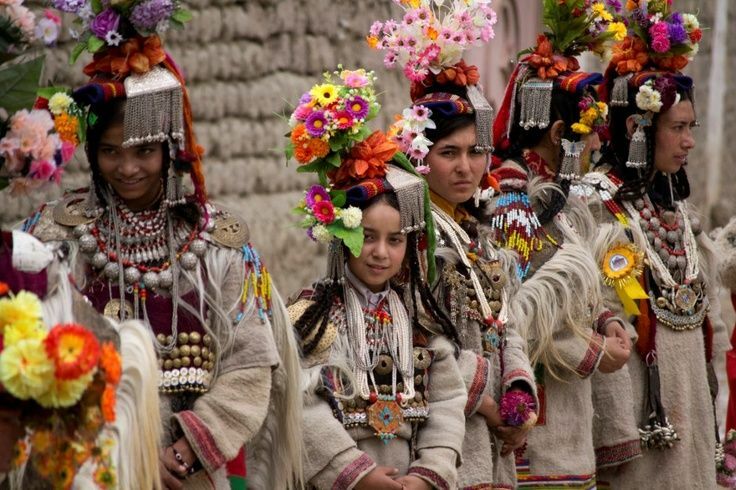 Their religious practices more so resemble the animist practices of the pre-Buddhist religion Bon than that of Buddhism as practiced in the rest of Ladakh. One curious cultural feature is their abhorrence of the cow or any of its products. Their ancient traditions and way of life are partly preserved through their songs and hymns. Horticulture is the main occupation of the locals and they grow excellent- quality apples and apricots. Dha Hanu is situated to the south-west of leh around 163 kms passing through the beautiful villages of khaltesey, domkhar and Achinathang. There are many small villages in the valley but only two villages of Dha and Hanu are opened to tourists. Bearing on lower altitude, Dha Hanu is warmer than Leh. Temperature can be as high as 35C during summer days and can dip as low as -15C during winters. Rainfall is very less due to the geographical location.